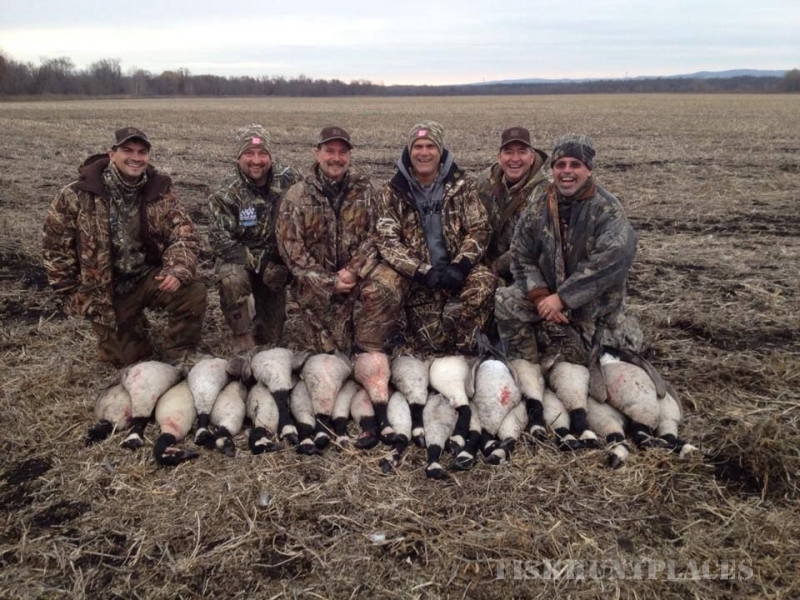 BU Outfitters provides exhilarating hunts in New York’s finest Finger Lakes and Montezuma Refuge region throughout the duck and goose seasons. The vast corn, soybean, and alfalfa fields we have securely leased provide sumptuous land to entice enormous flocks of Canadian and snow geese in addition to a number of duck species including mallards, wood ducks, black ducks, and green wing teal. 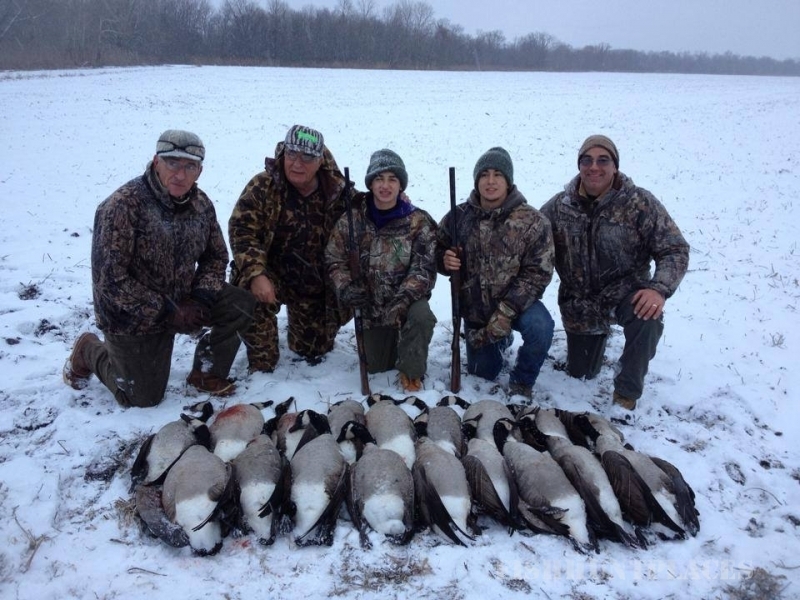 It is not uncommon for typical flocks to reach numbers upward of 200 and 300 ducks or geese prime for harvesting. We boast a large variety of layout, hay bail, and state of the art pit blinds to ensure your comfort and enjoyment. 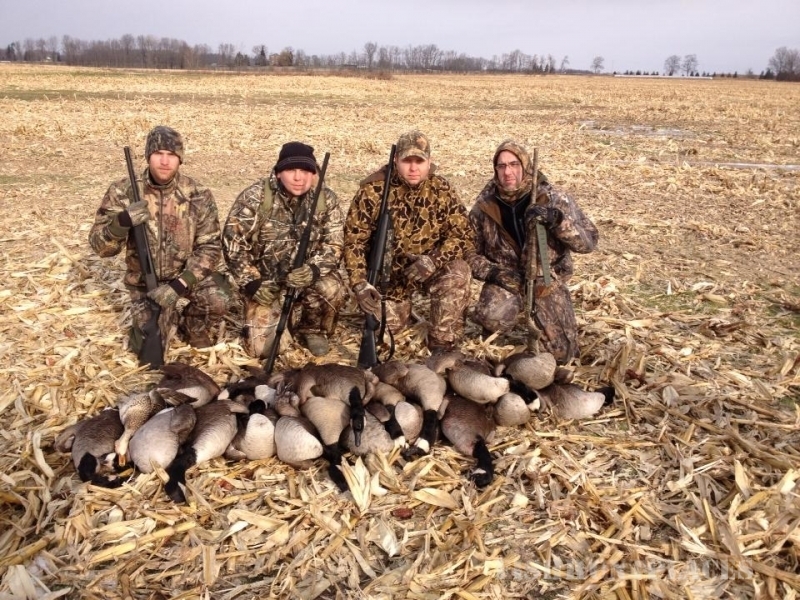 Our guides are fully licensed and trained on championship Canadian goose and duck calling and flagging to guarantee you many opportunities to harvest the waterfowl of your dreams. 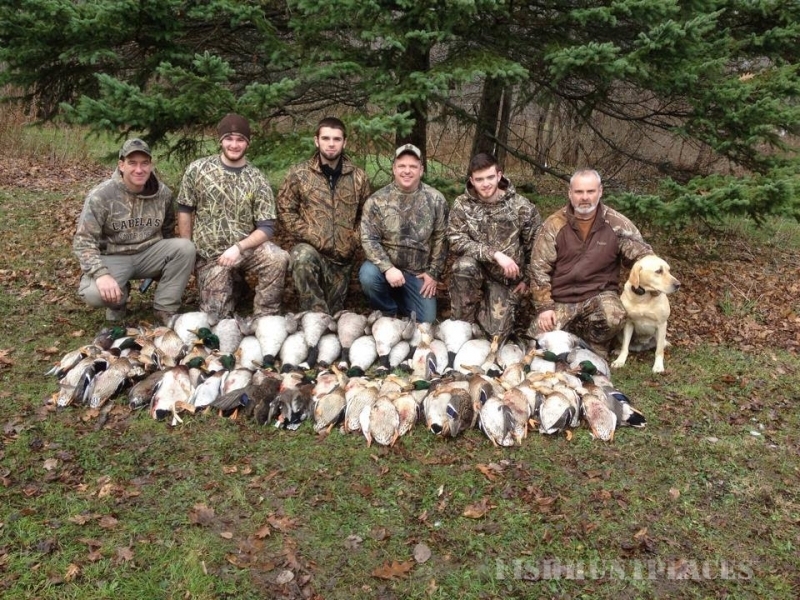 We hunt with the finest field trained hunting labs. 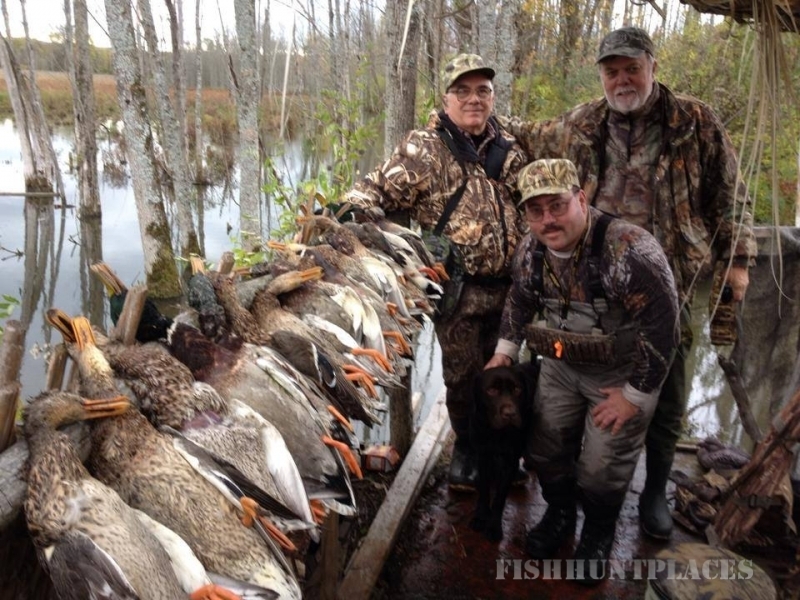 Overall, we will provide you with a first class hunting excursion you will be sure to remember.